The fraternity’s suspension comes as the school faces scrutiny over its handling of alleged sexual assaults after two female students wrote highly critical essays about the university last week on The Huffington Post. “The e-mail contained grossly offensive language and suggestions of behavior inconsistent with our policies concerning Greek life and with the caring nature of our campus community,” the university said. University officials will meet with Greek leadership to discuss the suspension, the school’s statement said. Jesse Lyons, a spokesman for the National Administrative Office of the Kappa Alpha Order, said his office also will investigate. The beginning of the school year at the University of Richmond has been roiled by allegations that the university mistreated female students who reported that they were sexually assaulted. In an essay posted on The Huffington Post website last week, one woman accused the school of trying to protect an athlete who she says sexually assaulted her last year. That woman said she has filed a complaint with the Department of Education and spoken with attorneys from the department’s Office of Civil Rights. Another woman followed with an essay claiming that the university also mishandled her reported sexual assault. She told the Richmond Times-Dispatch that she has also filed a complaint with the education department. The university has said it responds actively to all reports of sexual violence and doesn’t give any students preferential treatment. President Ronald Crutcher urged students and others on campus in an email last week to tell officials what more they can do to address sexual violence on campus. Follow Alanna Durkin Richer on Twitter at https://twitter.com/aedurkinricher. Her work can be found at http://bigstory.ap.org/journalist/alanna-durkin-richer . 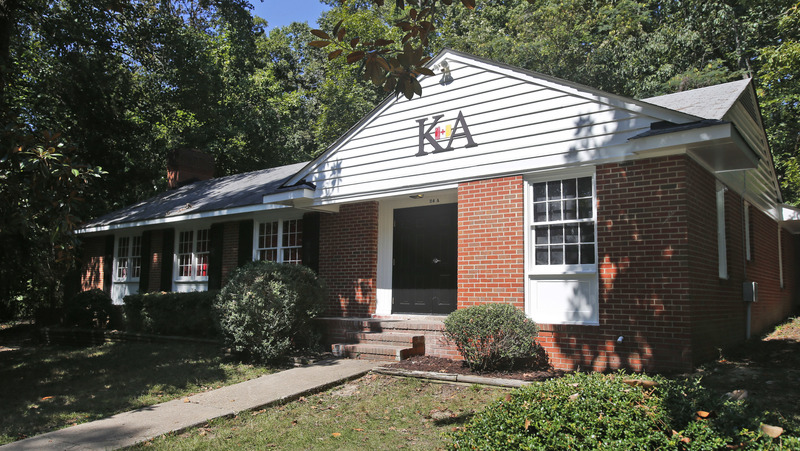 Tags: #Kappa, #KappaAlpha, Alpha, chapter, email, frat, fraternity, inappropriate, investigation, Kappa Alpha, Richmond, Suspended, university, University of Richmond. Bookmark the permalink.